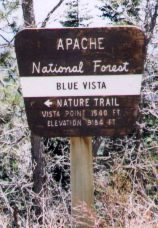 The first stretch of US 191 in Arizona took over AZ 63 from US 66 north to Utah.. 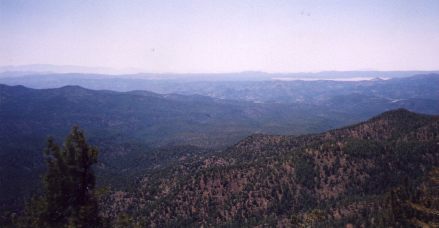 US 191 also took over the Arizona segment of US 666 in 1992, a move I still disapprove of. 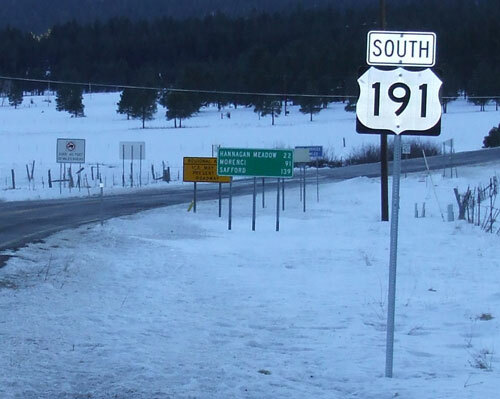 That takeover (and the decertification of most of US 89) made US 191 the longest numbered highway in the state. Apparently ADOT didn't get the mileposts straight during the renumberings, as mileposts 0-5 are duplicated at Douglas and Mexican Water. Contrary to what I said here previously, US 191 (or US 666) did not have a more eastern alignment near Douglas. I was mistaking an abandoned railway for an abandoned roadway. The Business US 191 in Douglas has never touched its parent. See US 666 for the history of it. Going north from I-10, there's a US 191Y from exit 355. This used to be part of old mainline US 666, which curved to the east to avoid bridging a wash. When I-10 was built, a shortcut was built to exit 352. Signs on I-10 at both interchanges just identify it as US 191. 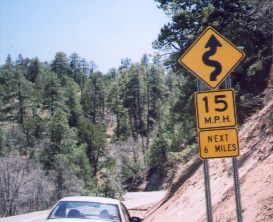 Between Clifton and Alpine, US 191 has hundreds of tight curves. This is only one of many similar signs. It's a narrow, winding road with no guard rail. 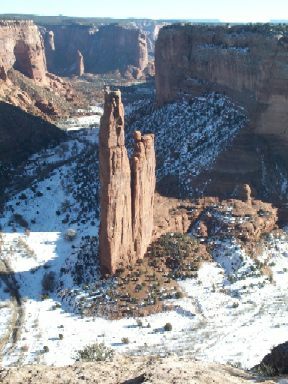 But if you're up to it, the views are spectacular. 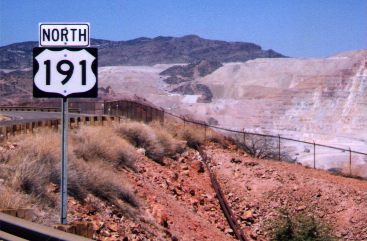 US 191 winds around the pits and tailings of the Phelps Dodge copper mines in the Clifton/Morenci area. 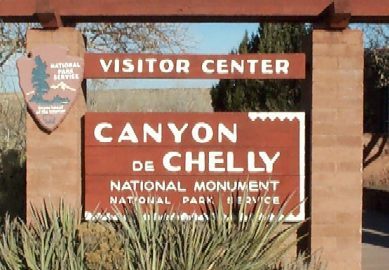 Canyon de Chelly National Monument is just off US 191 at Chinle.